What Happens If I Agree to a Personal Injury Settlement On Behalf of My Child? Contrary to what you might think, the vast majority of personal injury cases in Tennessee do not go to trial. Most claims arising from car accidents and other negligent acts are resolved by voluntary settlement between the parties. Generally, it is up to the victim–and their personal injury lawyer–to ensure the settlement is fair and equitable. In other words, the judge is not going to second-guess your decision to settle absent some extraordinary circumstances. But when the victims are minors, the court is expected to play a more active role. 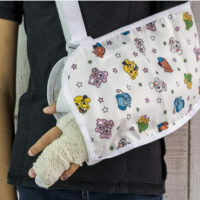 Even when a parent or guardian authorizes a personal injury settlement on behalf of a child, the judge has a statutory duty to review and approve the final agreement. When the settlement is for less than $10,000, the minor’s legal guardian can simply file an affidavit with the court describing the underlying personal injury claim and settlement terms. But if the settlement is for $10,000 or more, the minor and guardian must appear before the judge at an in-chambers hearing. Once the judge approves a settlement, the court must then decide how to actually distribute the proceeds. Minors are not legally competent to manage their own finances. So Tennessee law gives the judge two options: distribute the money outright to the minor’s guardian, or hold the money into trust until the “appropriate time,” typically when the minor reaches the age of 18. If the court decides to hold the settlement funds in trust, the parent or guardian may petition for “encroachment,” i.e. an order to spend some of the trust’s money to pay for the child’s injury-related or “unusual” medical or educational expenses. A judge may not approve encroachment to pay for “normal living expenses” or medical expenses covered by private insurance or TennCare. Understand that the judge has broad discretion to decide when encroachment of trust funds is necessary and appropriate. The courts are not required to defer to the parent or legal guardian’s judgment. For example, the Tennessee Court of Appeals recently affirmed a Shelby County judge’s decision to deny a father’s request for encroachment of funds in his minor son’s trust account. The trust was initially established in 2005 following a product liability settlement between the father and a corporate defendant. The father alleged his son was injured due to a defective playset manufactured by the defendant. To resolve the case, the defendant paid over funds to a trust account maintained by the Shelby County Circuit Court. Last year, the father filed a petition for encroachment, basically seeking reimbursement for various educational expenses made on his son’s behalf. The court agreed to pay funds for one item requested by the father–an upgrade for the child’s ban instrument–but otherwise denied the petition. The judge said that most of the requested reimbursements were for routine expenses, and it “would not be appropriate to reimburse a parent for meeting his legal obligation to care for his child.” The Court of Appeals found no “abuse of discretion” by the trial judge, noting the court’s statutory duty is to “protect a minor’s interests” with respect to settlement funds. If your child has been in any kind of accident, you should seek out legal advice from a qualified Clinton personal injury lawyer on what steps to take next. The lawyers at Fox & Farley, Attorneys at Law, can assist you with all types of claims, ranging from car accidents to product liability and dangerous drugs. Call us today at 866-862-4855 to schedule a free consultation.